More than 160 of Montefiore’s 500-strong volunteer base gathered at the Randwick campus for the annual Spirit of Volunteering event, which included an awards presentation and inspiring keynote addresses by Tanya Plibersek, Member for Sydney and Deputy Leader of the Opposition, and her daughter, who is a dedicated student volunteer at Montefiore Randwick. Tanya Plibersek’s address covered issues including the gender pay gap and action on violence against women, and also drew a connection between the Australian tradition of volunteerism – which contributes more than $14 billion to our economy each year – and the true meaning of being a ‘good citizen’. 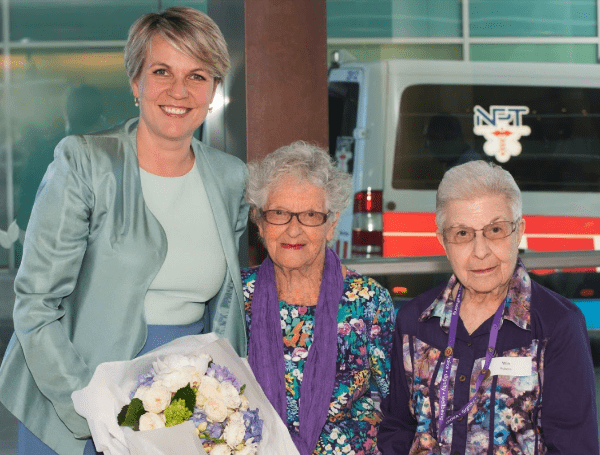 As part of the event, Ms Plibersek, Montefiore President David Freeman , CEO Robert Orie and Volunteer Manager Hazel Stein presented 48 volunteers with awards in categories including Leadership, Commitment, Team Player and Goes the Extra Mile. Thank you Tanya and Anna for your kindness and compassion!